Discussion in 'Work in Progress' started by Lhargo, Jan 23, 2019. This is a game I have been developing for around 1 month now and its finally at the point where I have something to show. 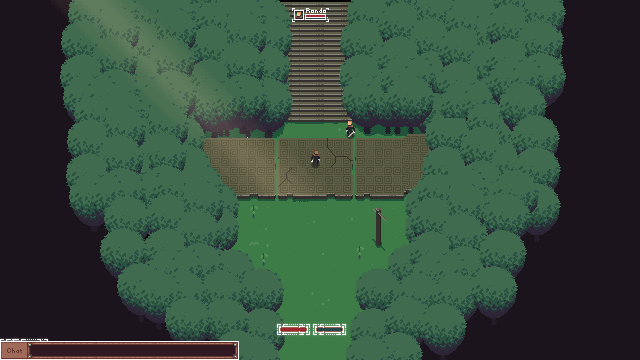 The idea behind The game was to have sort of like a battle royale similar to pubg but in a pixelart environment & with medieval weapons. people. only the lone survivors are given Victory and rewards. players to combine and create different playstyles and strategies. 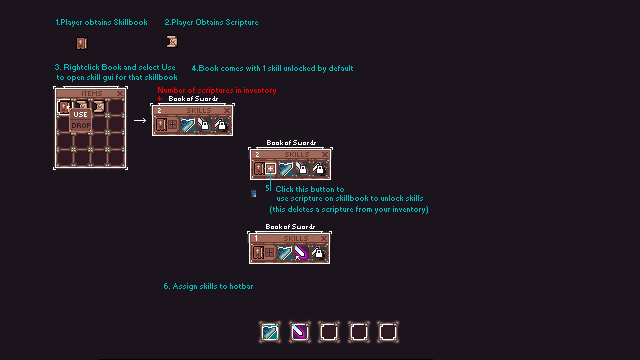 There are a total of 10 skill books , each with at least 3 skills which the player can utilize. Press key the skill was assigned to execute the skill. The team currently consist of 3 people ,two artist and one programmer. we are currently hosting on a vps . in a months time or two we could be ready for alpha testing outside of our current group. John Andrews, DebatableJam, woodsmoke and 13 others like this. Looks great so far. Good luck with it! Great work! The artstyle is awesome! while still keeping this clean and uncluttered. DebatableJam, Trueno, ReidDC and 1 other person like this. thats insane for 1 month of development! haha thanks. I'm hoping we can keep this rate of development. server and client are getting a rework as we move into the combat stage. a sneak peak at some of the weapon skills and universal skills we will be implementing. This game looks (and sounds) pretty awesome. Looking forward to it, and I wish you luck! A short preview of what you can expect Combat to be like. its always a good idea to follow up your normal attack with a weapon skill or universal skill. Morendral and Trueno like this. Trueno and Lhargo like this. 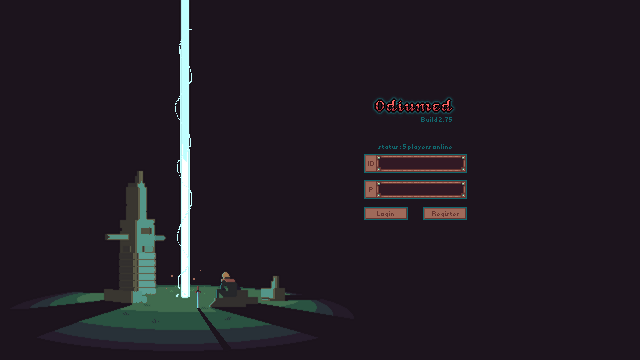 made some changes to the ingame gui. Bayesian and Edwin like this. id like some feedback on which of the following methods to go with as far as game rooms and sessions are concerned. What is game type ? a battle royale ? 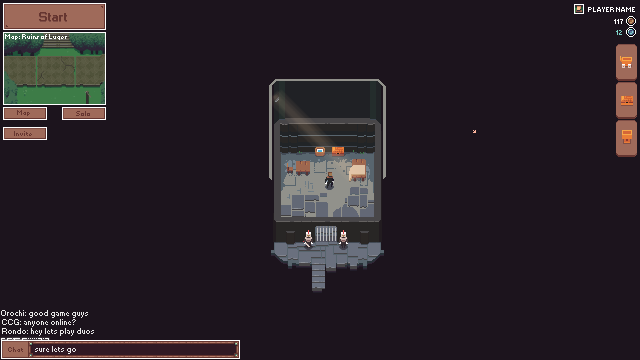 roguelike ? etc. if type is battle royale, you should give a time for other players can connect. Then game start. if type is roguelike, same thing. but if it is a mission or challange, i think extra players can't join us from start. i think you should give a time (like warmup in csgo or like in pubg) for players connect. then game start and nobody can join after game start. so i think method 1 is good . This looks incredible! Great work with the animation! Finished all weapon skill icons and descriptions . the ones with blue names just mean I have not finished the animations. the numbers in the second column represent how much prana will be consumed to cast each skill. I am also debating whether to add cooldowns. You should start marketting. Social media, youtube, official game page because if game will reveal, nobody know it so nobody will play it. maximum 10-15 players it is bad for this game. Never too early for that. Anyway, looks great! Sounds cool! Will be following this project! If anyone is interested in helping me make a community/ managing discord please feel free to contact me! I think the game's screenshots and devlogs is enough for marketting for now. I want to help but i don't understand marketing , community/managing etc. one of the universal skills "Conflagration"
3/4 done with all of the skills! this one is called Blitz, for the dagger weapon.